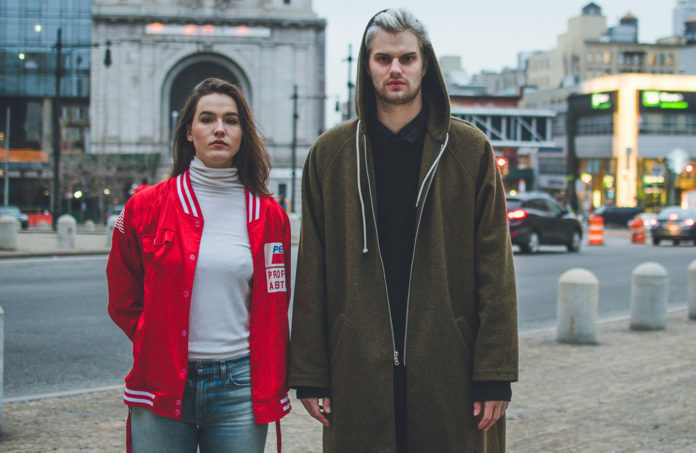 Grammy-nominated duo SOFI TUKKER, one part Sophie Hawley-Weld and one part Tucker Halpern, has released a provocative, poignant track called “Greed” just in time for President’s Day. Suffice to say, they did not waste the opportunity. The track is a less-than-subtle nod at the current state of political affairs in the United States right now, which has grown more and more turbulent since the inauguration. Protest anthems are typically associated with a certain degree of stiffness, but what makes “Greed” unique is that it’s one helluva banger. There’s a reason we’re putting this out on President’s Day. Greed has been the government’s M.O. this year—and it’s not just about one man. This is one of the first times Sophie has ever screamed. Unfortunately, there is a lot to scream about right now. Indeed. The electro-pop duo continues to surprise with their evolving sound. Hailed as the new face of indie house rockers, they’ve booked an expansive 2017 tour, so grab your hairpiece and get ready to rock your face off to “Greed” in person. The duo’s North American tour dates kick off with a March 10 show in Toronto, a hometown show in Brooklyn at the Music Hall of Williamsburg, and will culminate in much-anticipated performances at Coachella, Firefly, What The Festival, and Panorama. Head of Marketing at Jukely. Geek, amateur Muay Thai fighter, hot wings aficionado. Displaced Miamian figuring it out in Brooklyn.